The wench is a serious Saturday slacker. 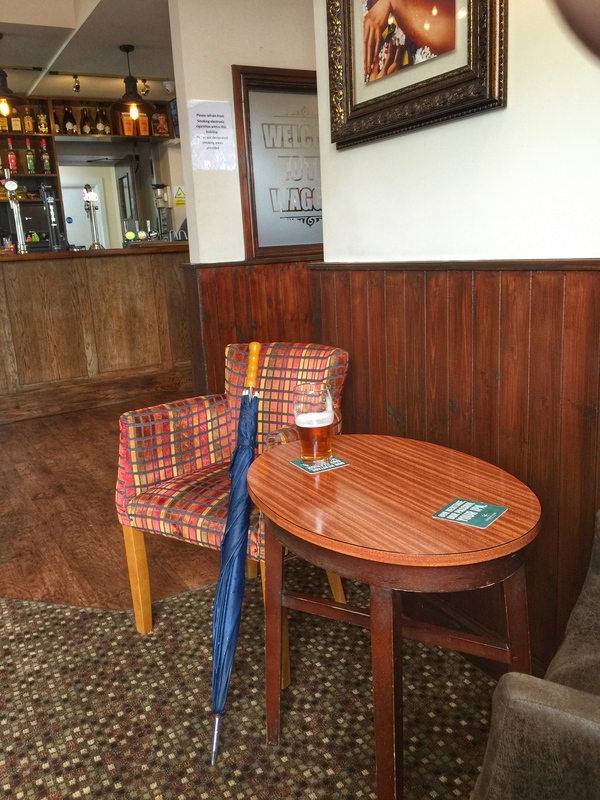 Weeks have gone by since I was ambling around Amblecote and no blog post has been written. 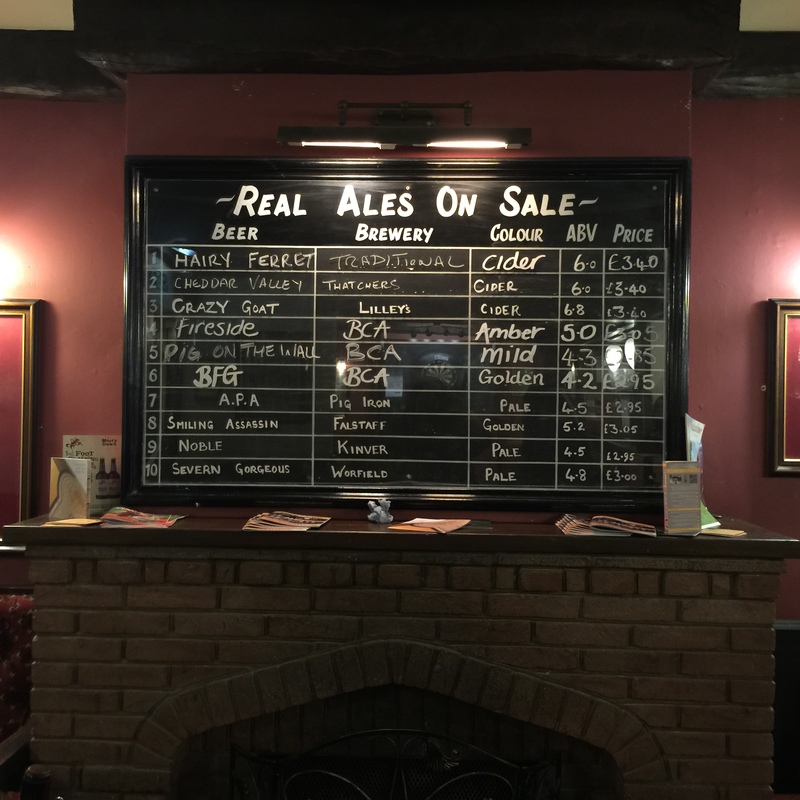 Whilst waiting for my avid readers to beat down my Wollaston door in despair at the lack of fine words and wit they’ve come to expect from www.blackcountrypub.com, I’ve been a little busy. I know it’s no excuse, but the wench has been a little distracted with job hunting. I’m deeply sorry. 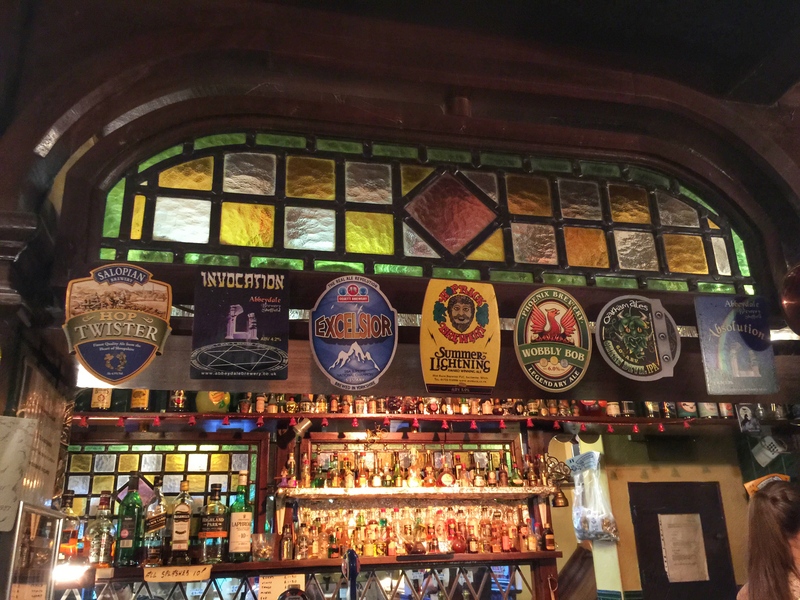 Pubs have been visited. Beer has been drunk. Scratchings have been fought over. I have failed in putting pen to paper, or rather finger to keypad. So, as the Spice Girls once sang ‘tonight is the night when 2 become 1’, here starts a tale of two Saturdays. 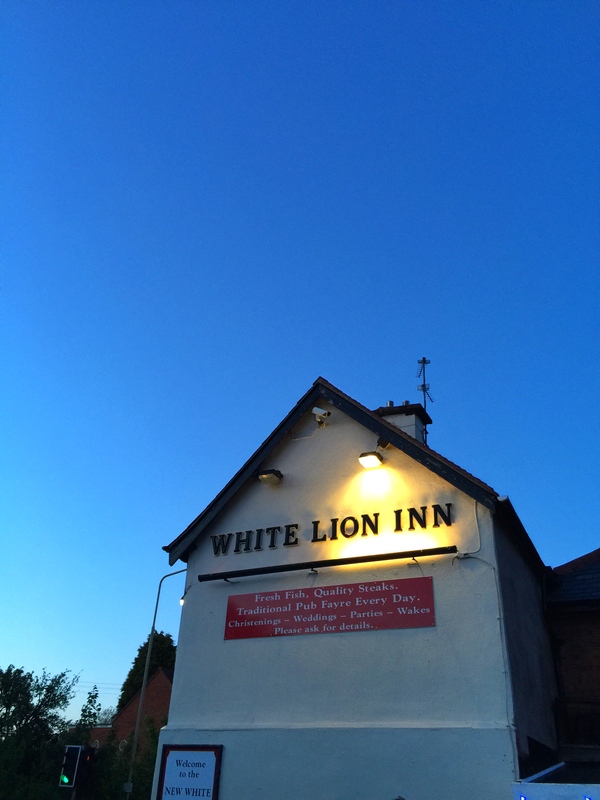 Saturday 1: more commonly known as 6 June, or wench 2’s dad’s birthday, was a trip back to our roots as we (wenches 1 and 2, and chap) headed to Sedgley to celebrate. Wench 2 and I grew up just down the road from Sedgley, so it’s familiar ground. 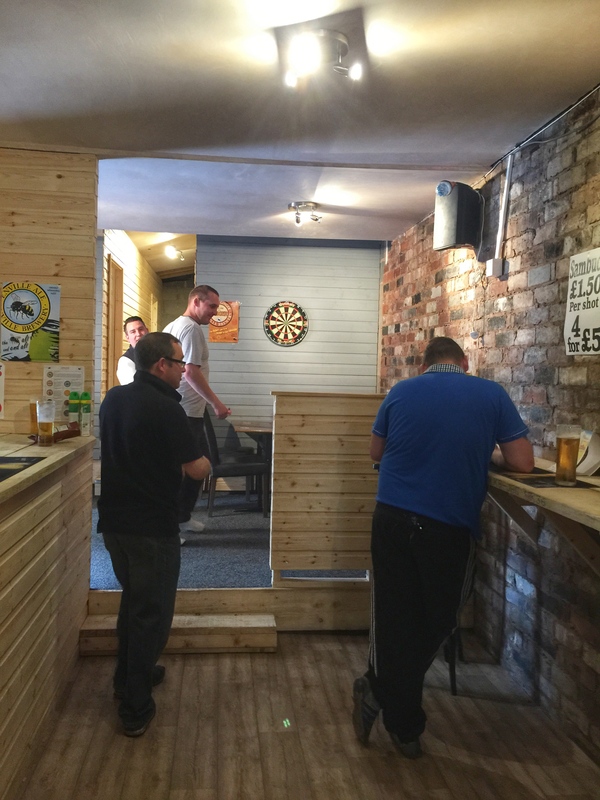 First stop was The Bull’s Head, a Holden’s pub on Bilston Street. 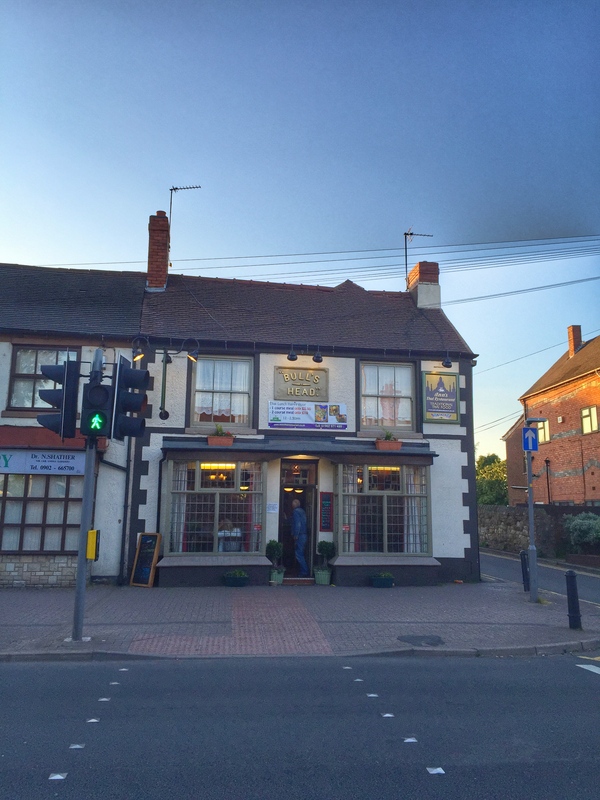 This traditional boozer has a small bar at the front which was packed with an early evening crowd. 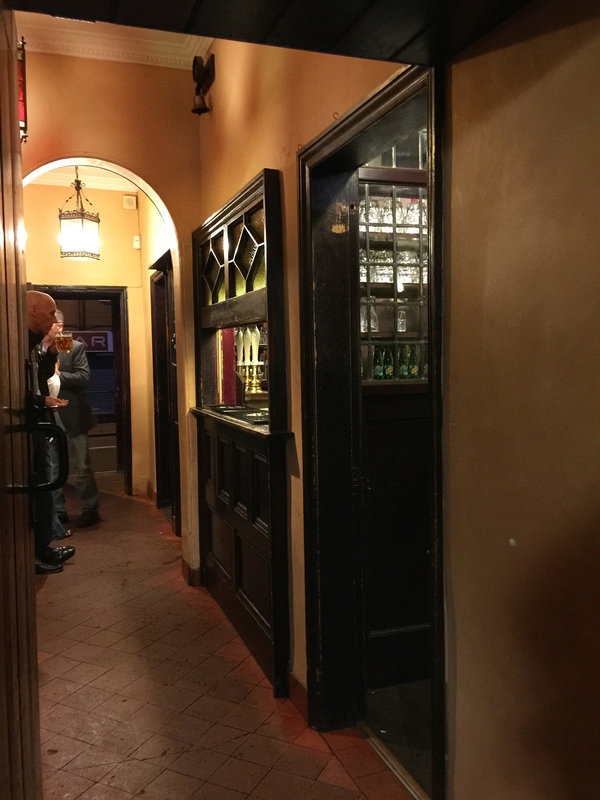 It was hard to see anything of the pub as it was so busy, but we managed to fight our way to the bar, grabbed ourselves some Golden Glow (Holden’s) – well of course it had to be Holden’s – and made our way to Ann’s Thai Restaurant which is tucked in to the rear of the pub. 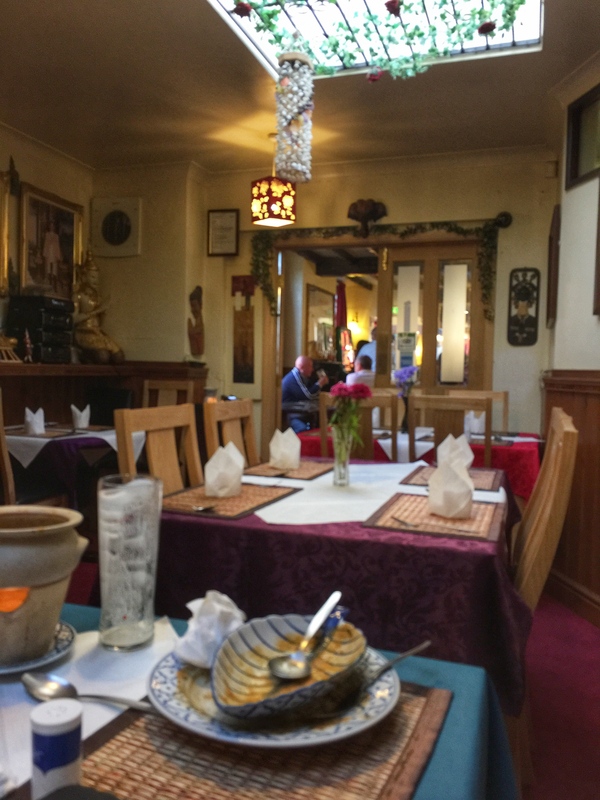 We had a very tasty Thai meal, courtesy of Ann, before heading on to our next destination. 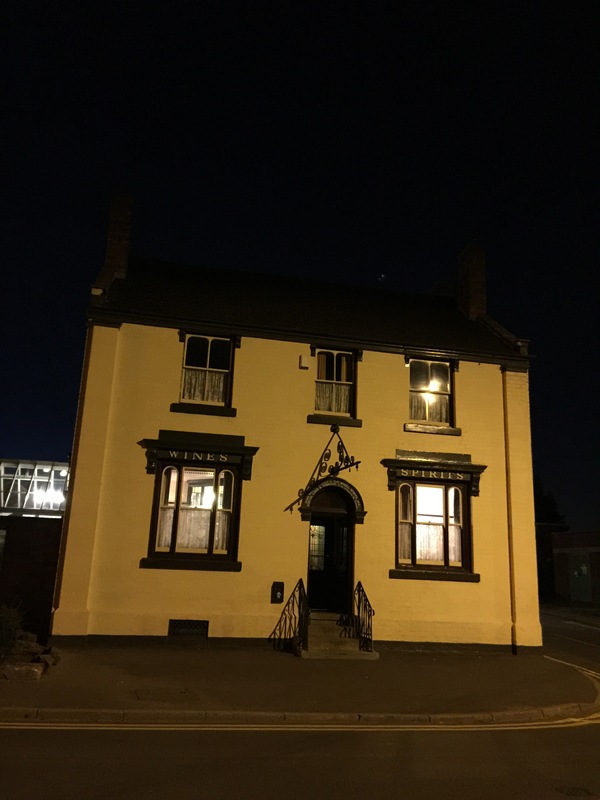 The next destination – The Stump (The Mount Pleasant) – is very special to this wench, as I described in the introduction to my article on Black Country pubs for Area Culture Guide (see an earlier post). It reminds me of my childhood and my grandparents. 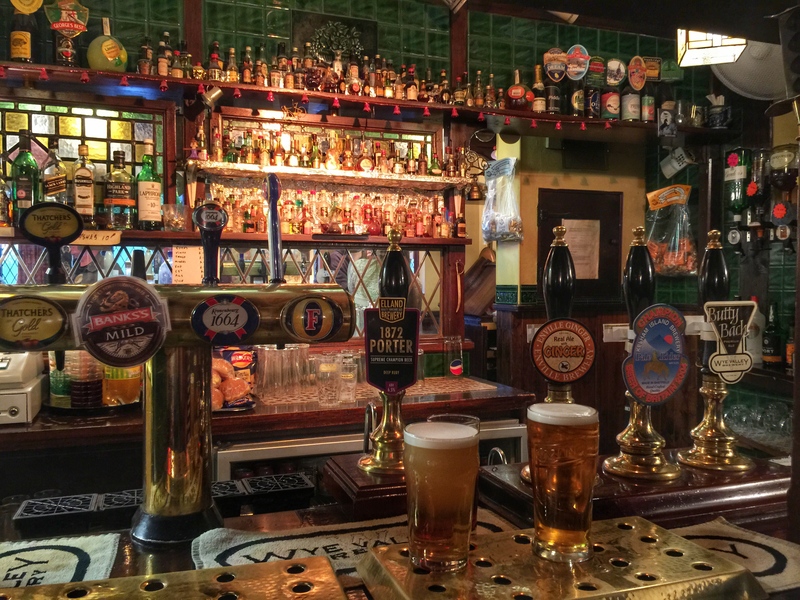 I haven’t been back for quite a few years, so it was with lump in throat I made my way into this wonderful boozer. Luckily we didn’t need to use the horn to summon the very friendly beer wench who served us up our ales – Citra (Oakham Ales) for chap, Summer Lightning (Hopback) for me, Fosters for wench 2’s pa (we’ll try not to hold it against him) and Vimto for poor wench 2 who was our designated driver. 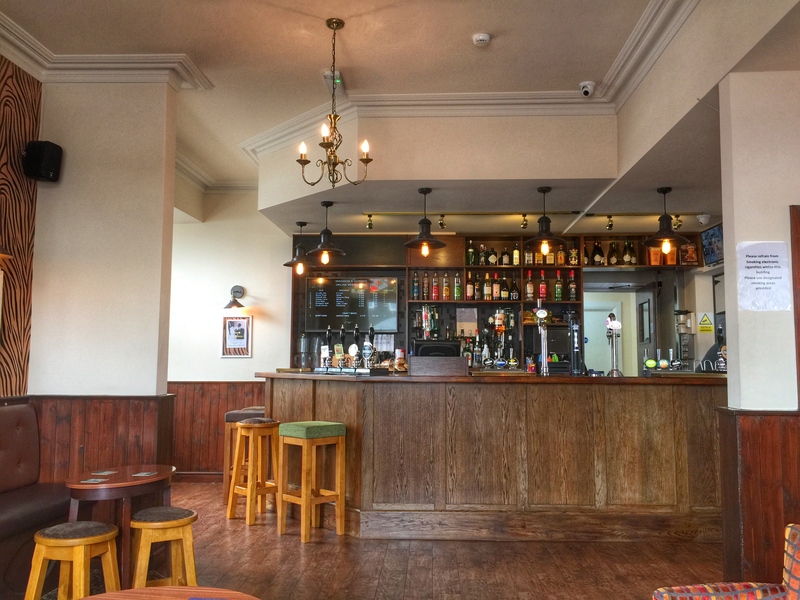 I love this warm, friendly pub. 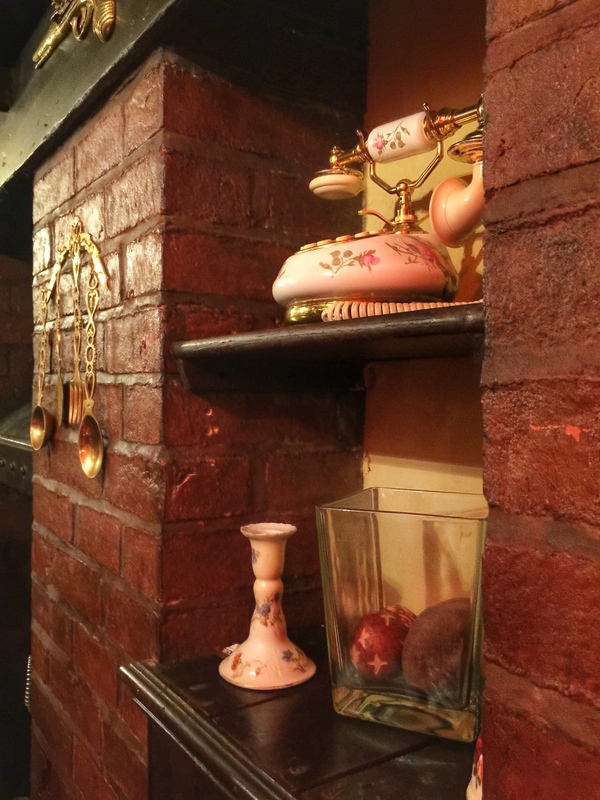 There’s lots of nooks and crannies in this charming place and we found one to retire to, next to a bit of chintz of course. 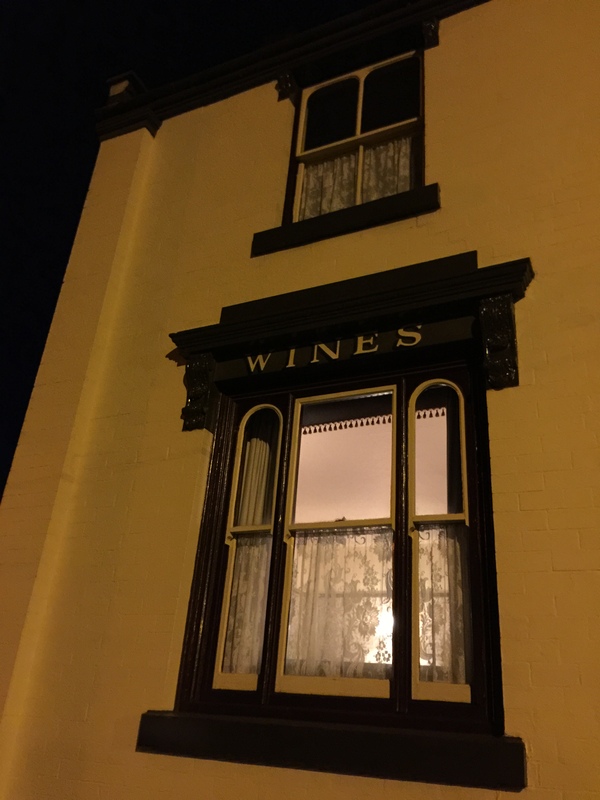 …The White Horse on Dudley Street. Now this isn’t going to count in blogging terms because we didn’t get a foot over the threshold. The very polite and friendly bouncer (with an impressive set of gold teeth) informed us that it was ‘1 out, 1 in’. As wench 2 and I refuse to queue outside a pub it was time to move on. 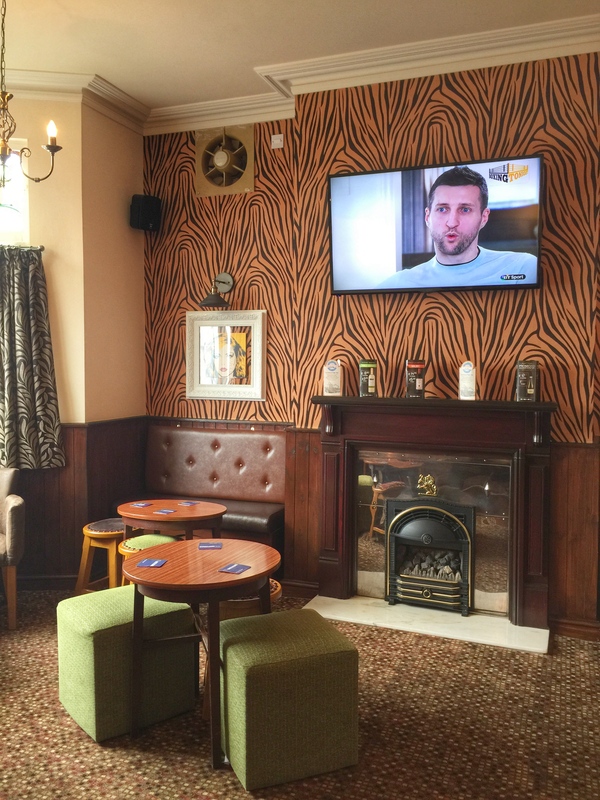 This pub has had a complete overhaul from when I was last in Sedgley and it looked mighty popular, helped by the fact it had football on the screens. Guess the wench will have to return to try it out! 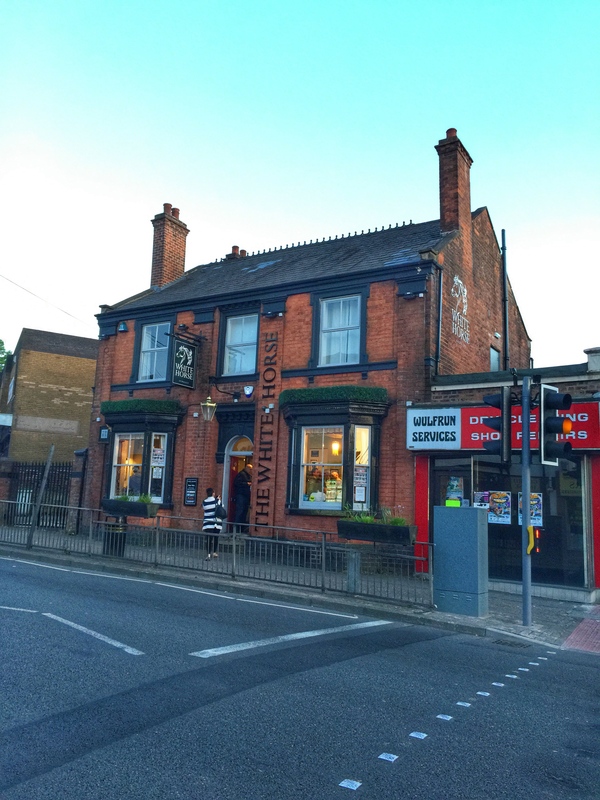 And on the subject of queuing, the Sedgley Weatherspoon’s pub – The Clifton – had a rather busy bar so we moved on from there too! I have to admit I wasn’t too bothered as I knew where I wanted to end up for a Saturday sup! 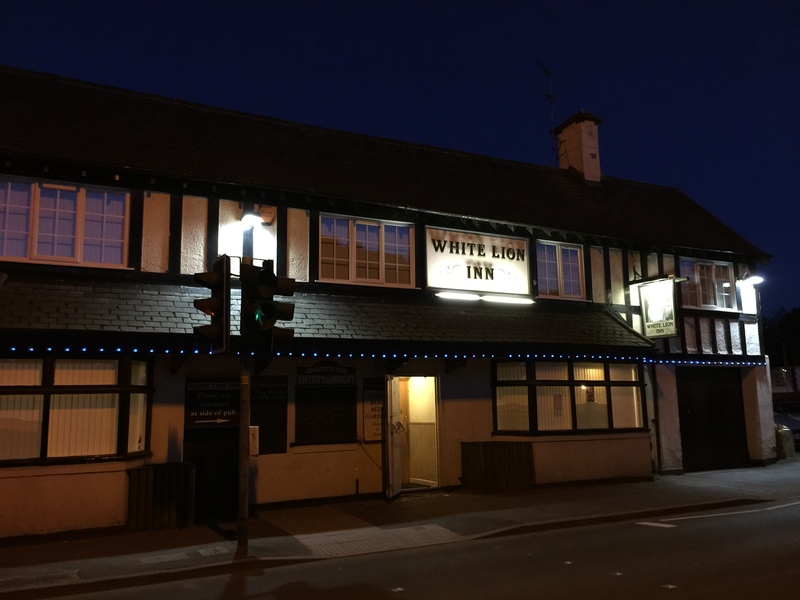 Next on the list was The White Lion Inn on Bilston Street. I could feel my excitement growing as we’re getting closer to my quarry – have you guessed yet? After all that potential queuing it was nice to have a seat and a table. 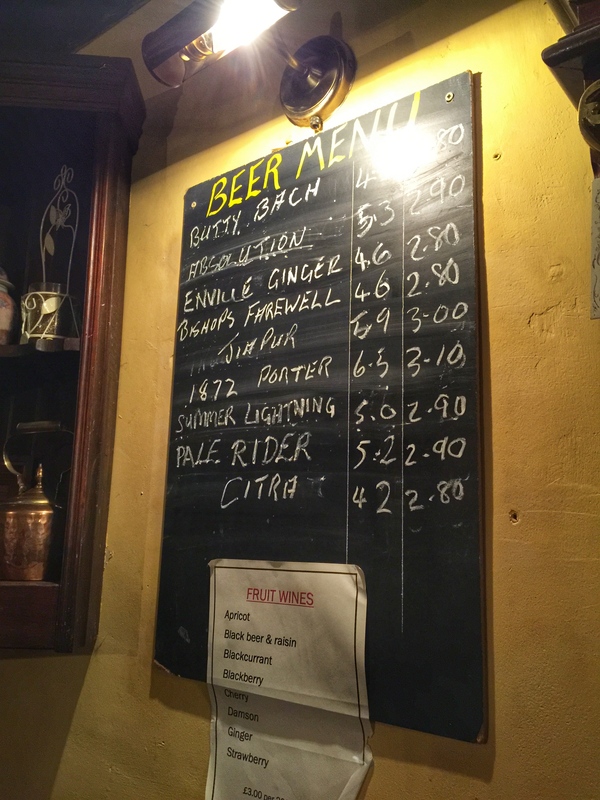 Wench 2 was finally allowed a Lemon Dream (Salopian) while chap went for Griffin d’Ale (Abbeydale and Griffin Claw collaboration) and this wench chose the interestingly named Rat of Khan (The Rat Brewery) which was mighty fine. 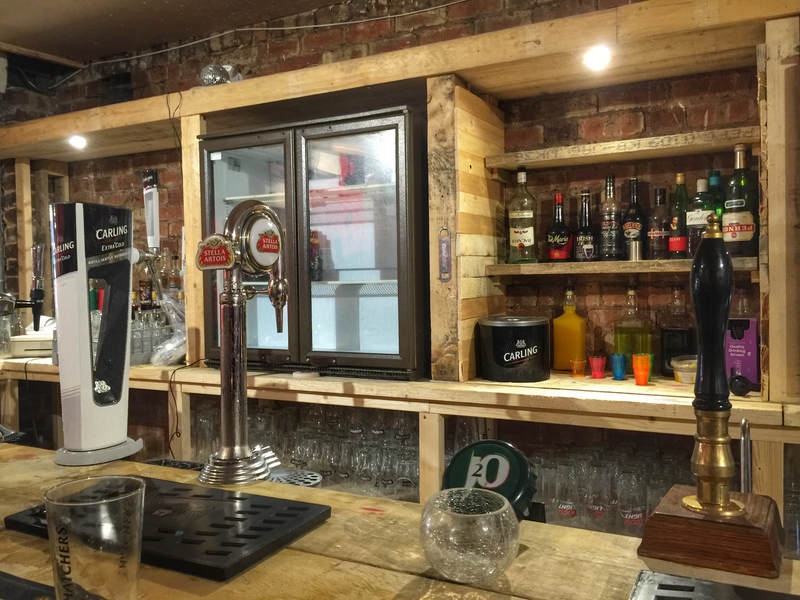 Wench 2’s pa went for Stella Artois, but as it was his birthday we forgave him…again. As we perused the menu (for research purposes) I was pleased to spy a bit of animal figurine action on the fire. 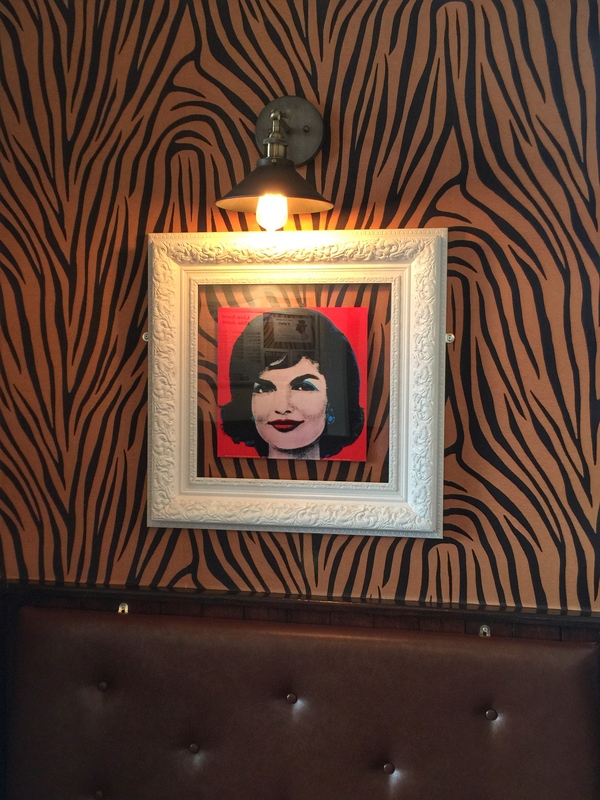 Regular readers will know this wench is a bit partial to a ceramic figurine in a pub. 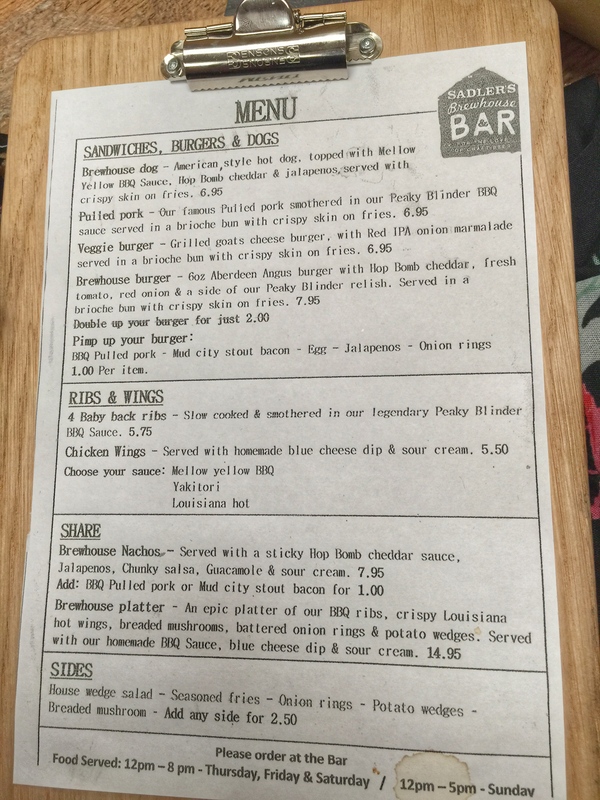 The food is supposed to be pretty decent here with good portion sizes, but we weren’t here for food and I was chomping….chomping at the bit to get across the road. Can you guess why? 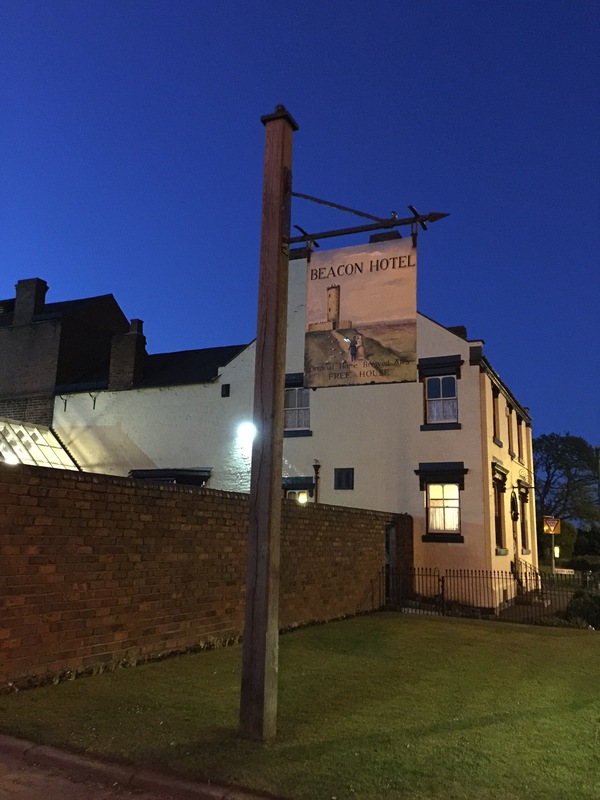 The Beacon Hotel, a place of beauty and fine, fine beer. 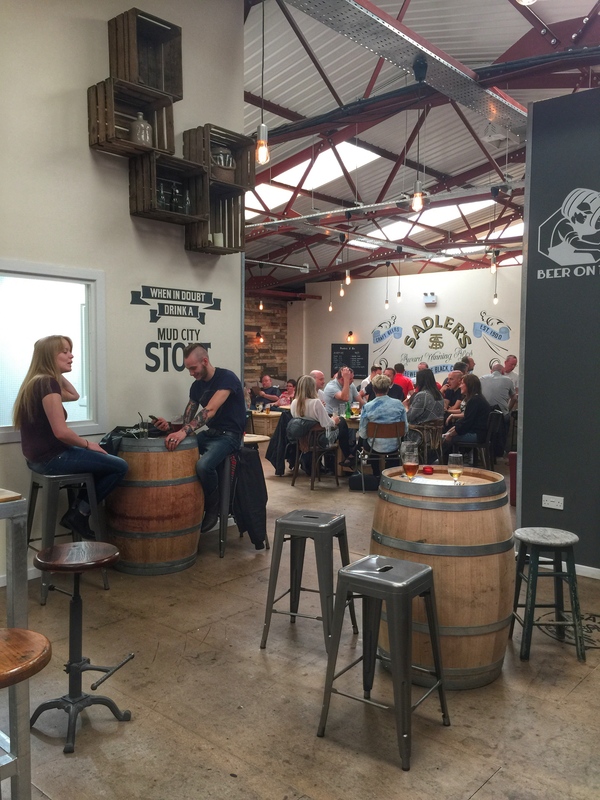 The place ‘where I learnt the ropes’ (see my earlier post about Area Culture guide) and started to appreciate real ale. 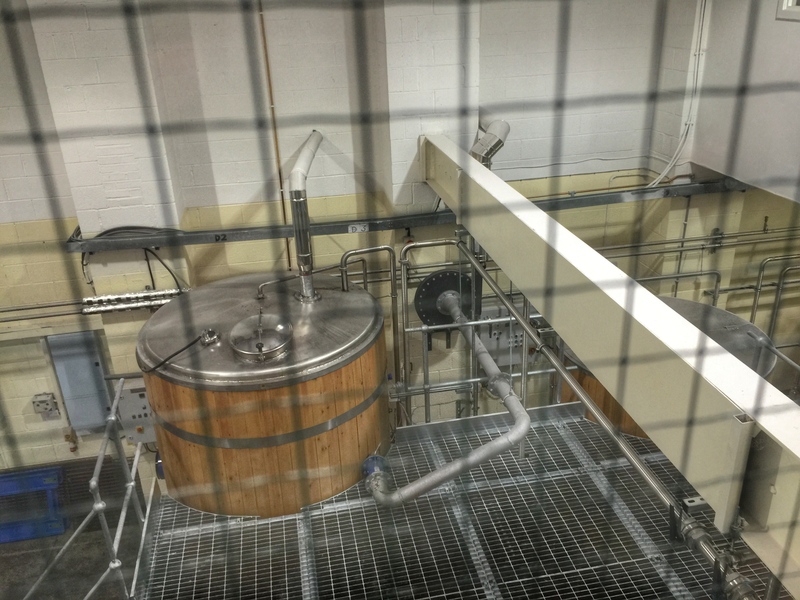 For real ale is born here, in the Sarah Hughes brewery. 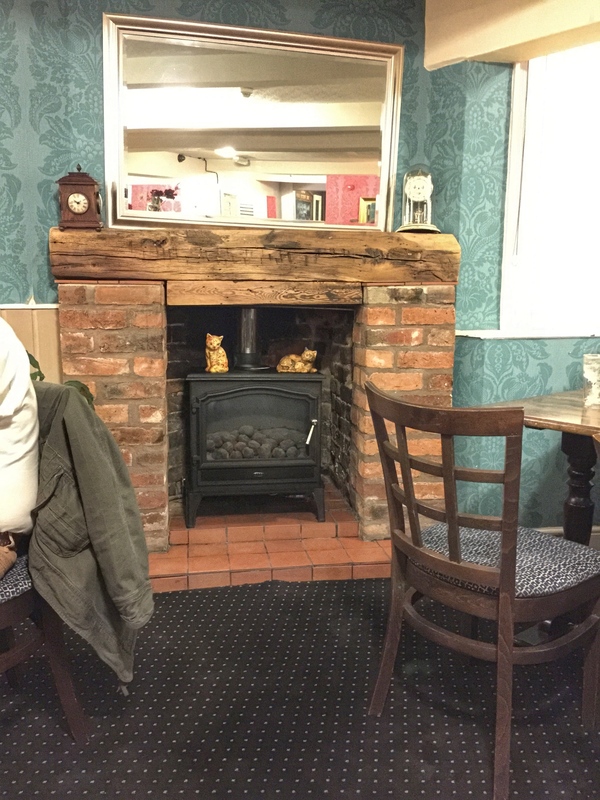 This grade II listed pub is truly wonderful and like The Stump is rather special to me. So, a return visit is required to share my true passion for the place. 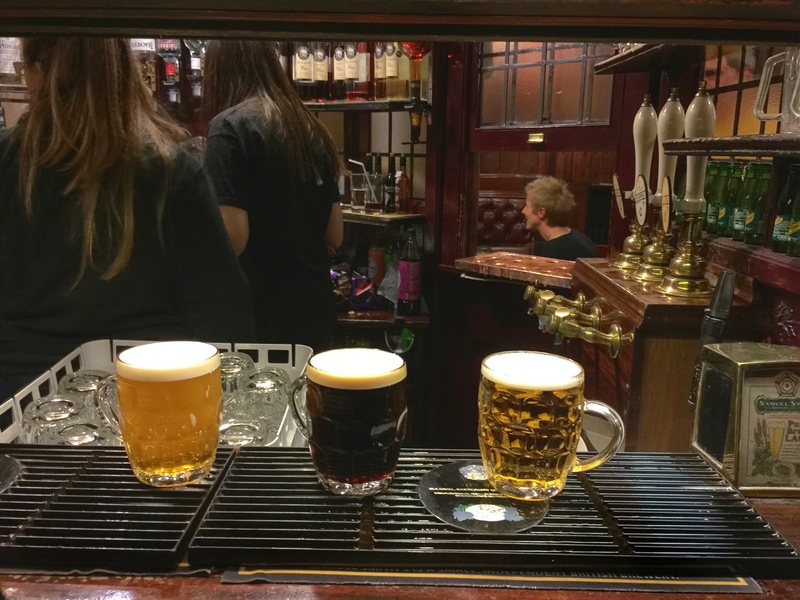 The central bar with snob screens serves the rooms and the corridor, and we picked up Sedgley Surprise (Sarah Hughes) for chap and wench 2, and my favourite Dark Ruby Mild (Sarah Hughes) for this wench. 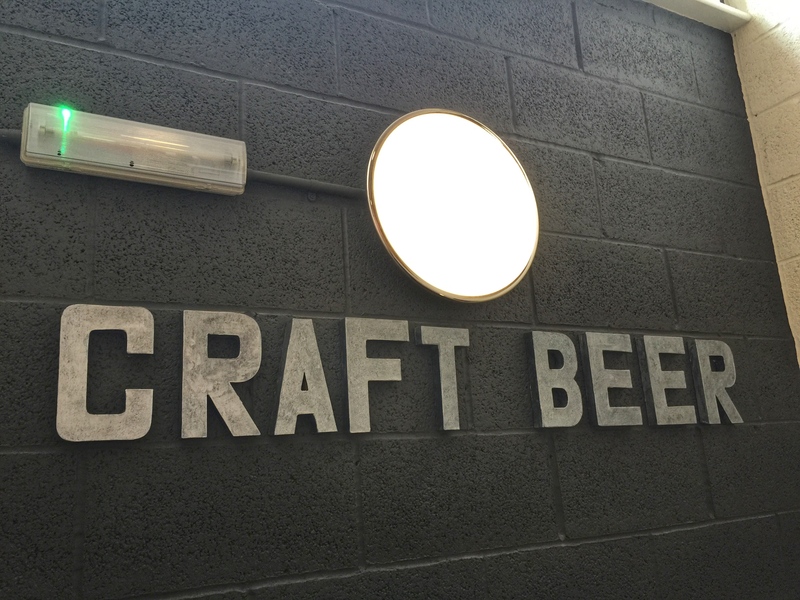 When here you wouldn’t want to drink anything else! Let’s not highlight the fact wench 2’s pa was still on lager. 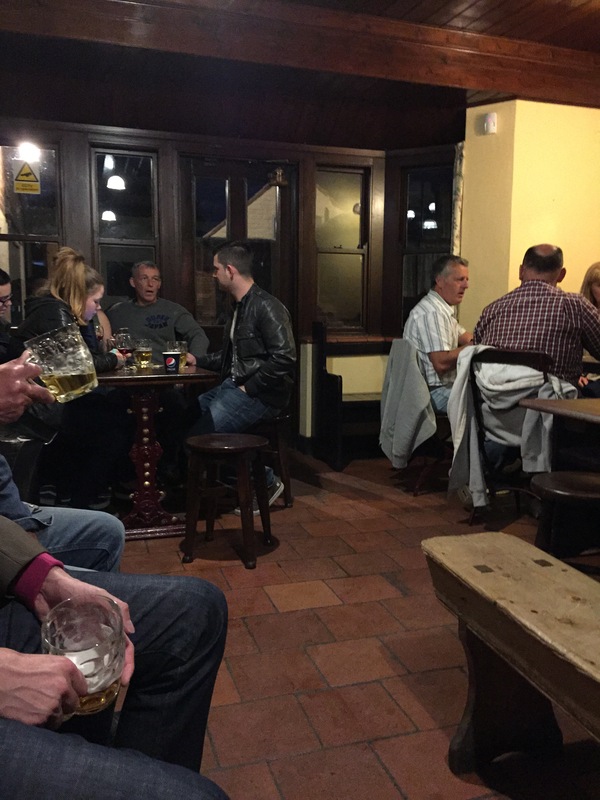 As usual it was standing room only as the boozer was bursting with Black Country folk, but we managed to perch our bums on a bench in the back where I happily supped Ruby for the remainder of the evening. It felt like coming home. Saturday 2: more commonly known as 20 June, found this wench introducing boss bird to a little more of the Black Country (I’d already thrown her in at the deep end with a trip to Netherton). Now boss bird, although a resident of Brummagen for a number of years, wor brung up round ere. So, where did I think her dulcet Radio 4-like tones would fit in? Cradley Heath of course. 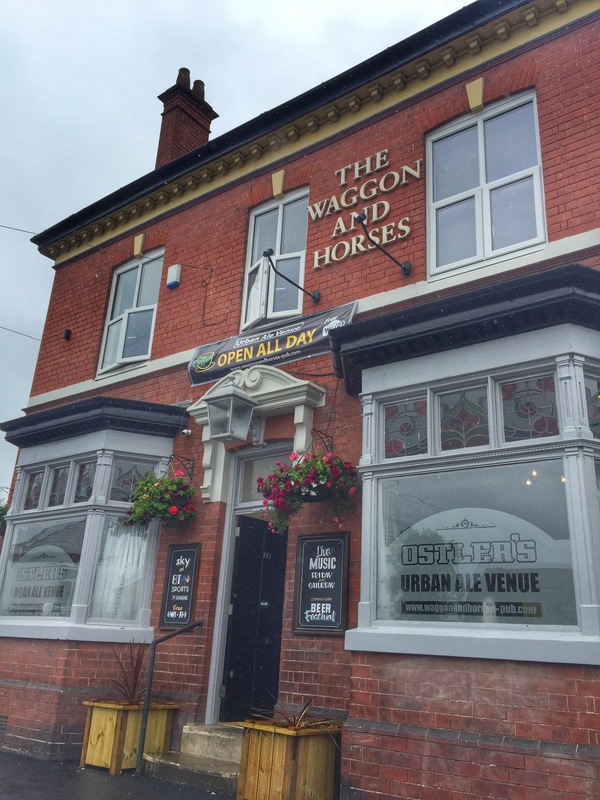 We started at The Waggon and Horses which is part of Ostler’s Alehouses Ltd (also a brewer – Ostler’s Ales – which is based at The White Horse in Harborne, Birmingham). 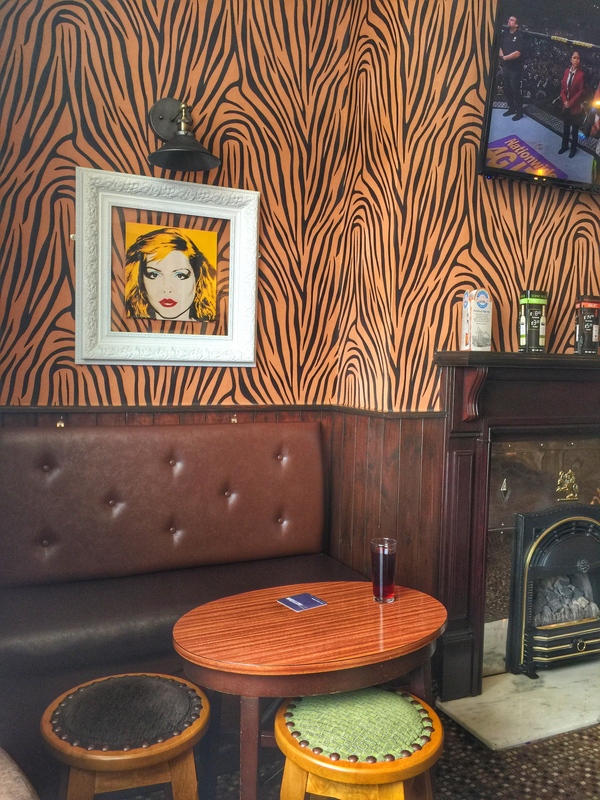 The pub has recently been refurbished – I did quite fancy the Debbie Harry print. 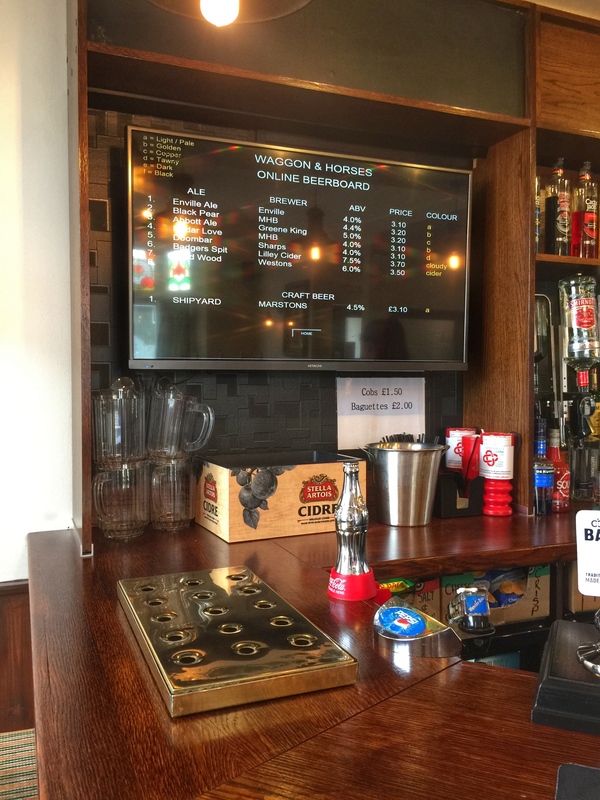 It felt very flash having an electronic beer menu and the friendly bar wench let us try the ales before we made our selection. I went for Black Pear (Malvern Hills) while boss bird stuck with what she knows best, Enville Ale (Enville). The Black Pear came recommended by bar wench and was a good sup. We tucked into bostin Black Country cobs and scratchings, and I threw down the gauntlet to boss bird. ‘How do you fancy walking down into Cradley Heath?’ I uttered casually. 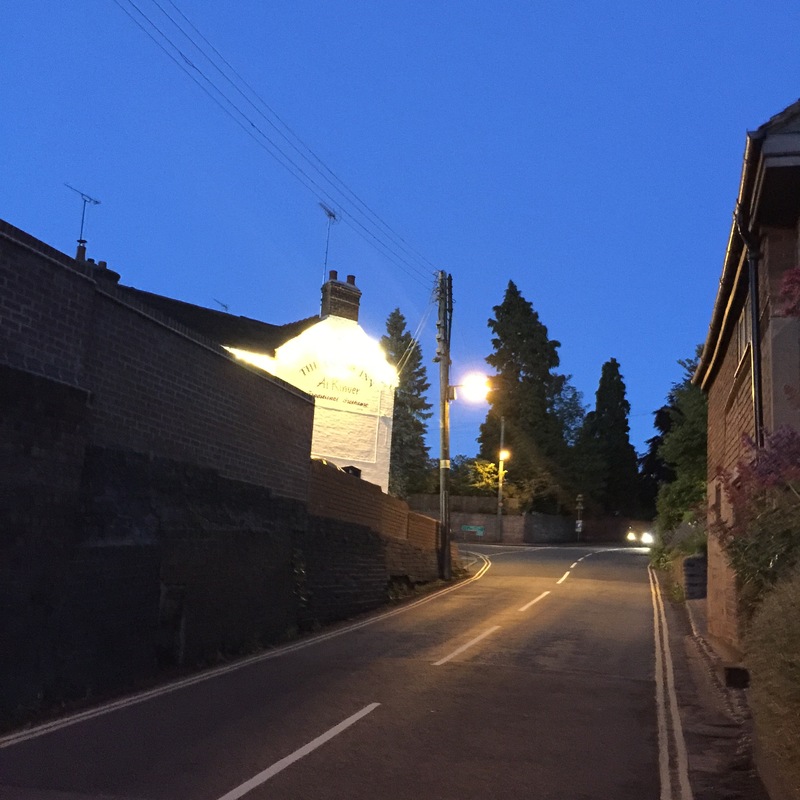 ‘I want to find The Blackcountryman pub which supposedly exists, but bloke has been unable to spot on random drive-bys.’ She was so distracted by ale and cob she didn’t have a chance to refuse. Sucker. 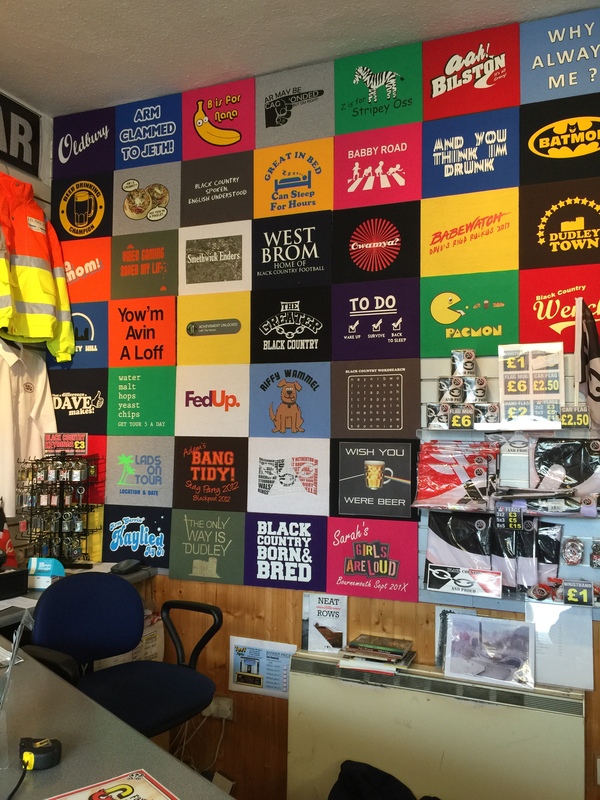 On the way I introduced her to TeeTShirts where we both purchased some Black Country clobber. 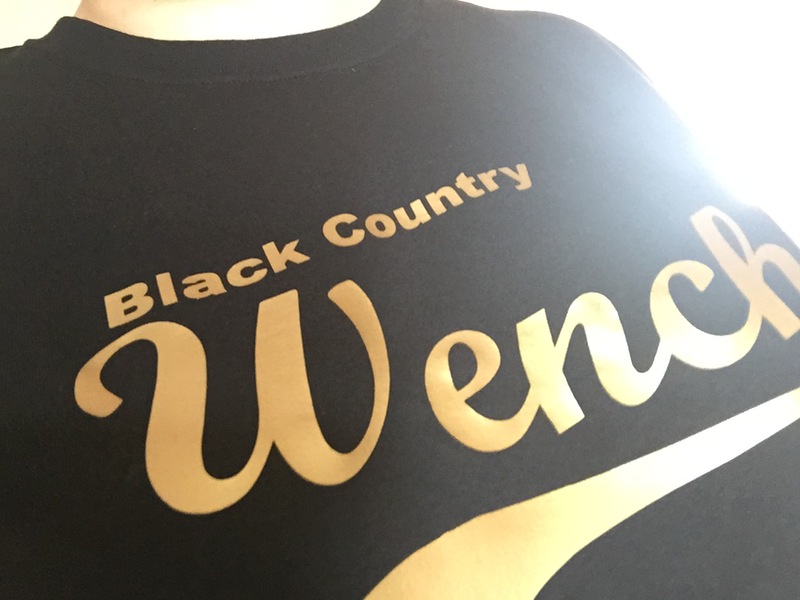 I couldn’t resist a Black Country Wench T.
It rained, we walked and walked. Now, I was starting to believe The Blackcountryman didn’t exist at all. I’d been to the one in Brierley Hill, but this Cradley Heath version seemed elusive. Just as I was giving up, we spied an oasis in the desert. As we approached it almost looked like this pub was closed, the front was quite dark, but the door was open so we pressed ahead. It was worth it. 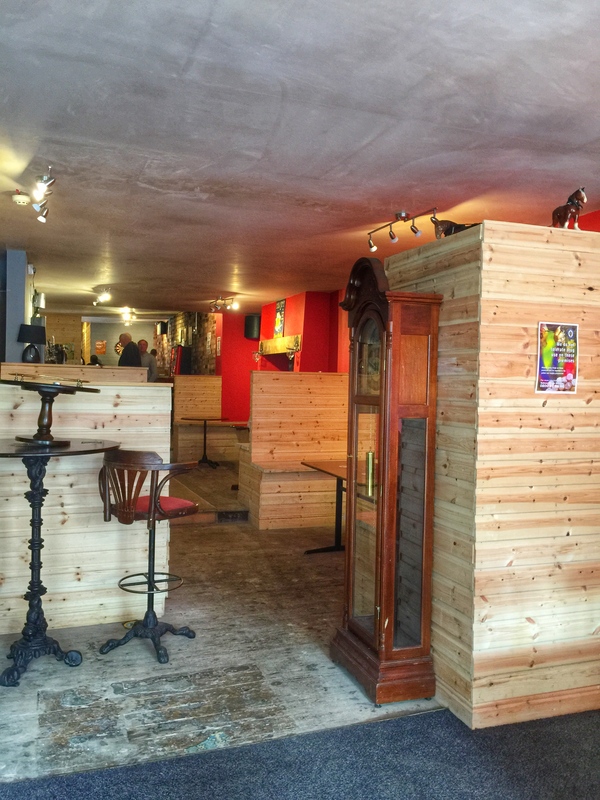 All I’m going to say is 1. it’s one of the most unique pubs I’ve been in and 2. it’s a woodworker’s dream, or nightmare! See what you think. I think we were still a bit bemused (by the wood) by the time we got to the bar, but we managed to pull ourselves together and order Enville ale (Enville). 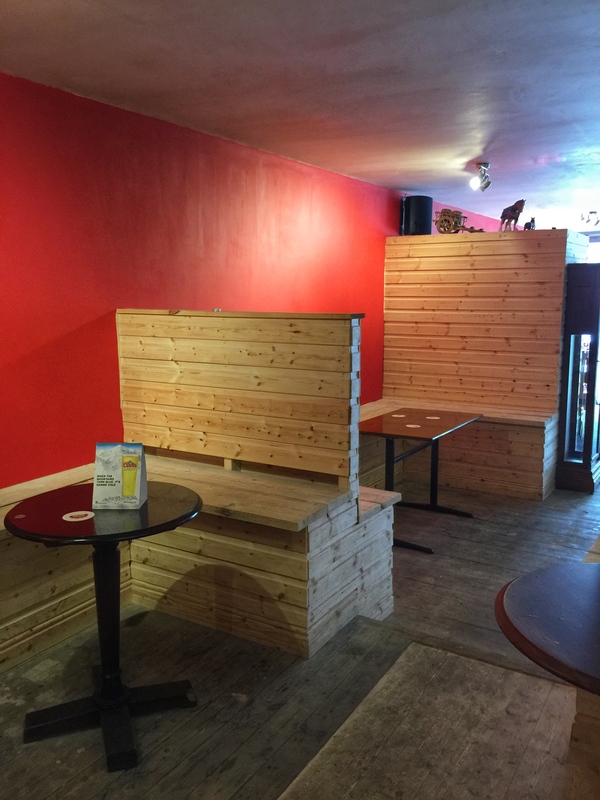 This independent boozer is the brainchild of a couple of Black Country blokes who decided they’d like to start a Blackcountryman chain and good on them. I’m all for it. 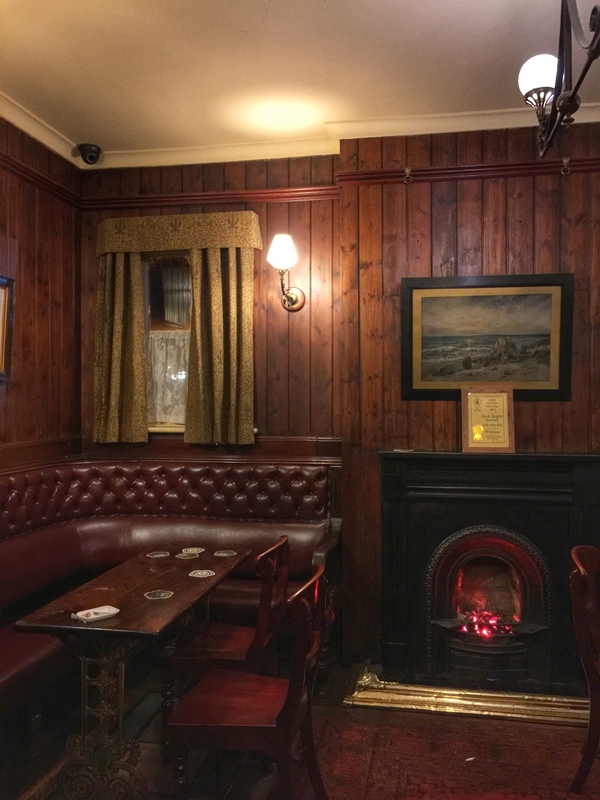 I’m not sure it was boss bird’s cup-of-tea – she was worried about splinters – but I’ll definitely bring wench 2, chap and bloke here for a pint. I feel like I should bring a ceramic figurine next time I visit. I appreciated the ceramic horse hiding behind the clock, but this wench needs a tad more tacky chintz. 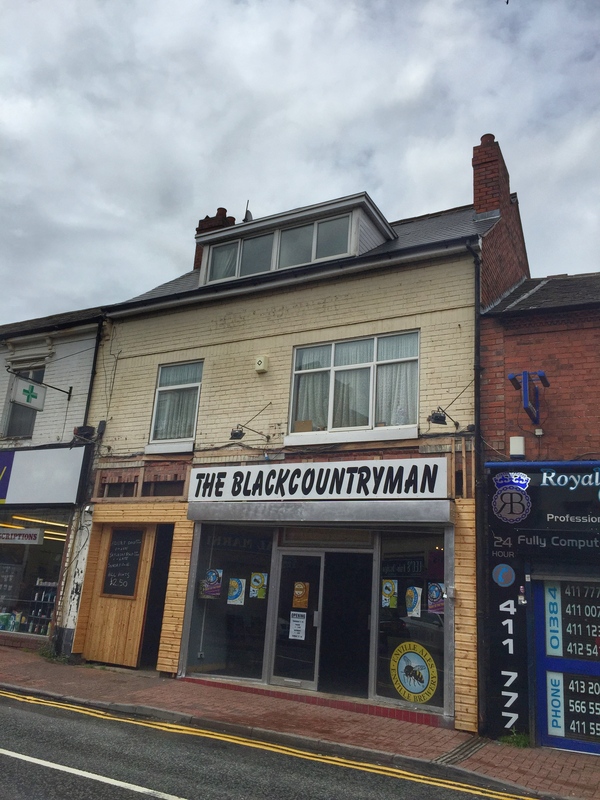 Bring on Blackcountryman 3! Feeling courageous after actually finding The Blackcountryman I challenged boss bird to another treasure hunt. 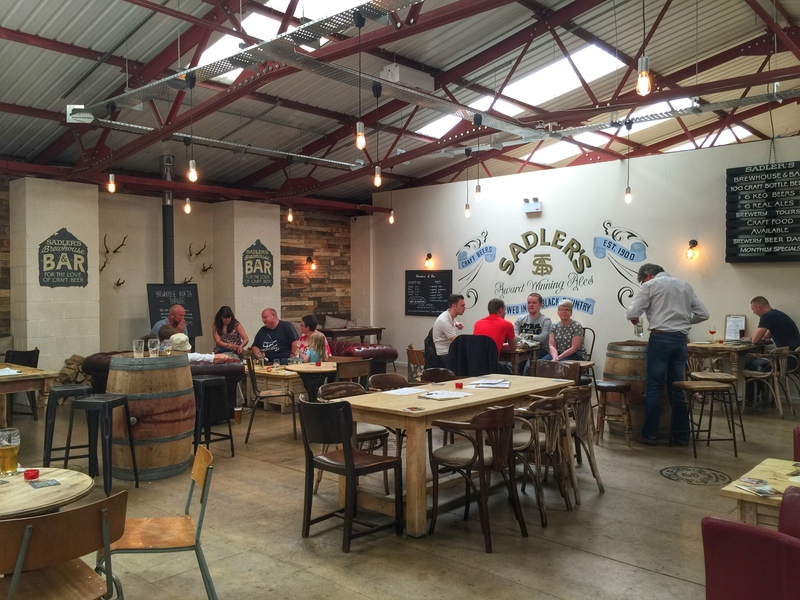 ‘I’ve been wanting to find the Sadler’s Brewhouse I said.’ Now I’m going to skip over the fact that finding it proved tricky, even with GPS, Google maps, their website and a big sign pointing the way (our navigational skills are quite bad). I’m sure we went around the roundabout three times just for fun and it was lovely to have a little tour of that trading estate. And there were signs of course, signs everywhere, but this unassuming building gave no hints of the pleasure to come. We reached the top of the stairs in breathy anticipation. 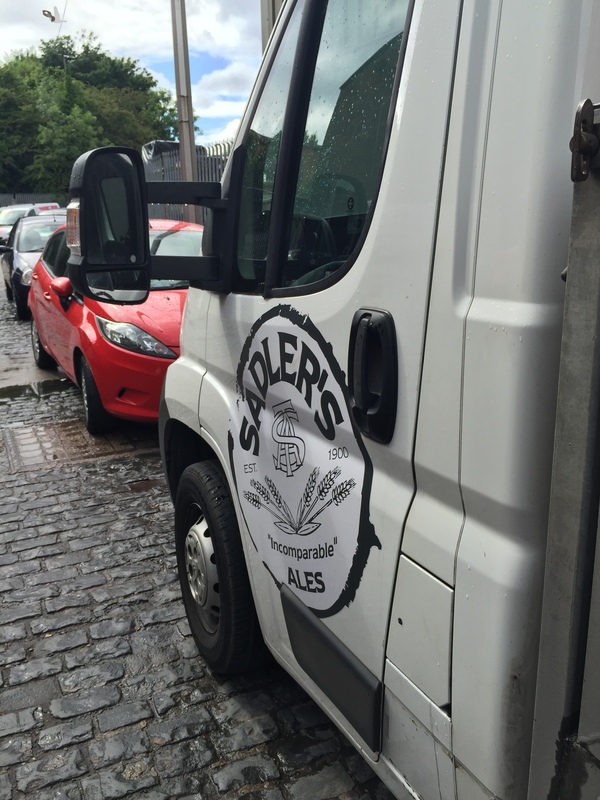 Well, hello Sadler’s Brewhouse. Aren’t you gorgeous? There was no hard decision for either of us. 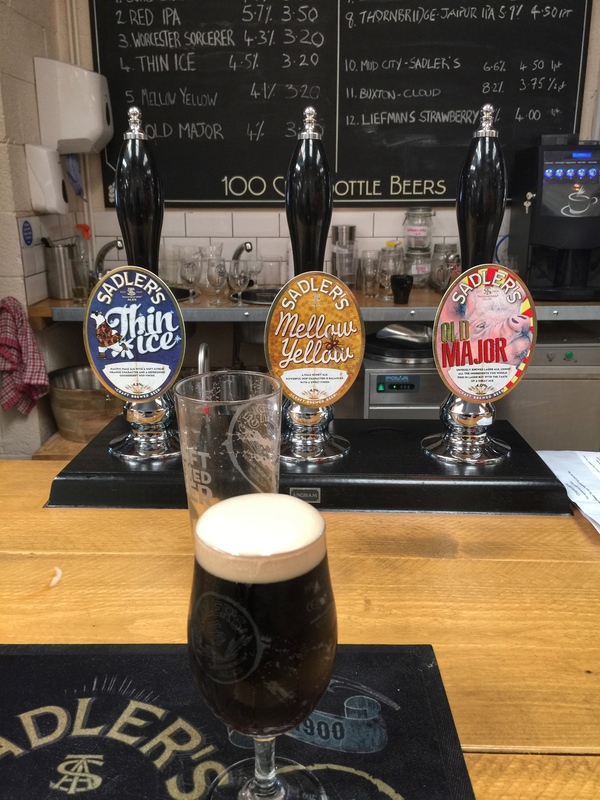 We didn’t mess about and quickly ordered two Mud City Stout (Sadler’s). I think I even let out a little squeal of excitement when we were given fancy glasses. The rest of the time we looked in awe at the beauty of the place. I even peeked a glance at proof we were actually where ‘the magic happens’. I really just liked everything about this place, so I suggest you visit. Bring your family, your friends, your neighbours, even people you don’t like. 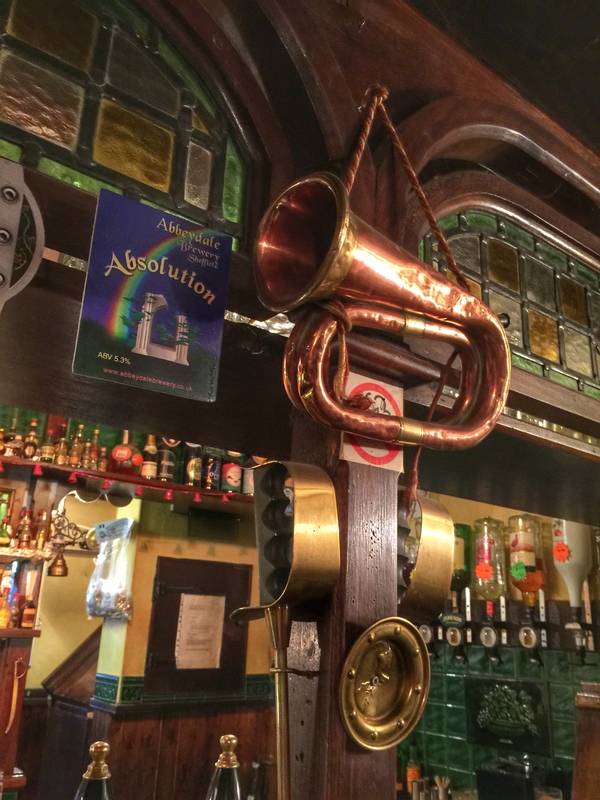 No, scrub that, send them to….that pub we don’t like. 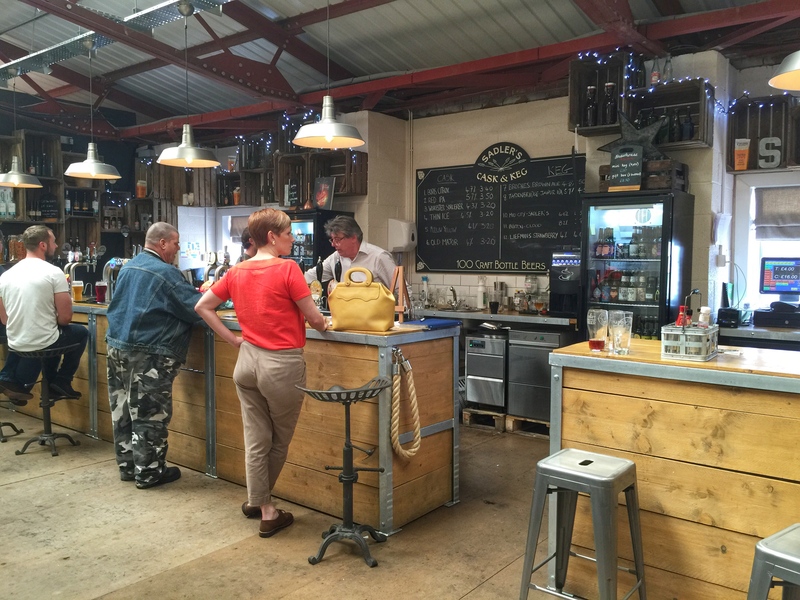 Seriously, this is such a great place, right next to Lye train station. 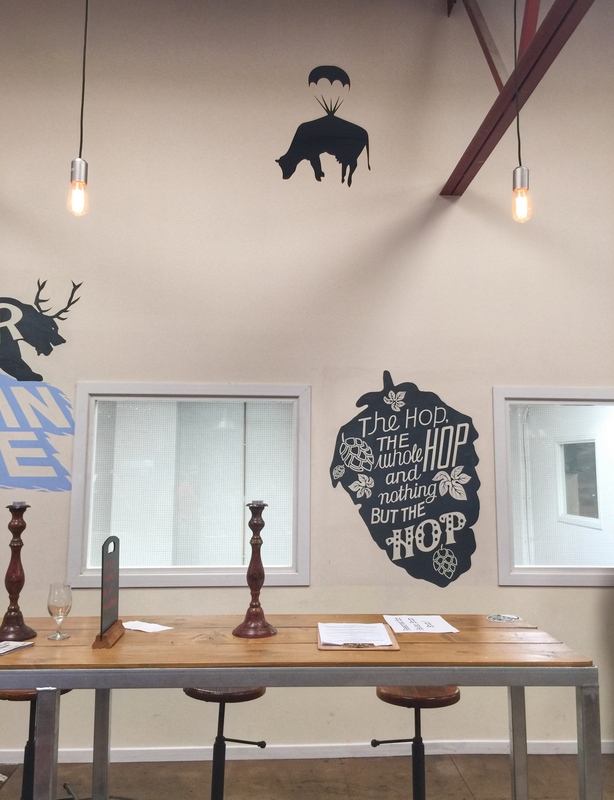 Great space, great design, great beer. OK, I’m embarrassing myself now. I’ll stop. Oh, and I saw and smelt the food. Yum! Afternoon turned into evening and it was back with my a-team: wench 2, chap and bloke, to celebrate chap’s birthday. Champagne at chez wench 2 and chap turned into ale at the lovely Kinver Constitutional Club. 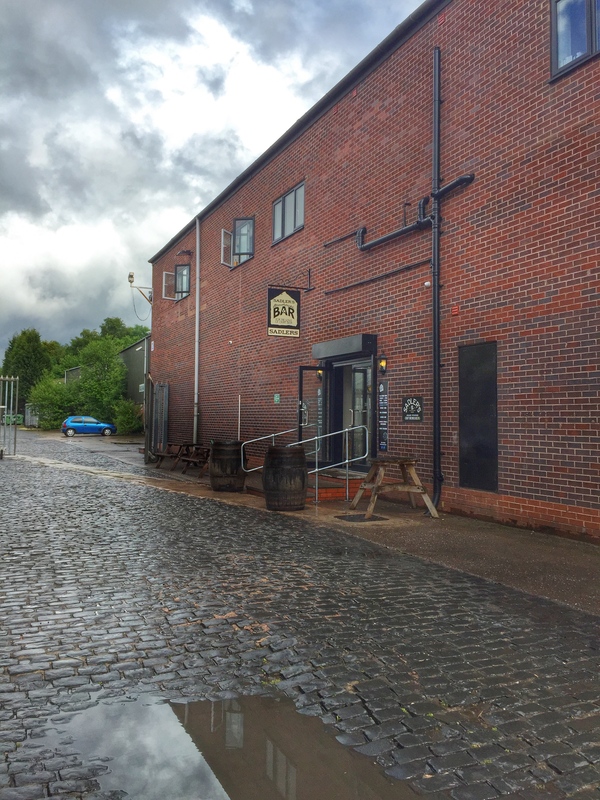 I’m now out of the Black Country so it seems a bit naughty to continue blogging, but it’s good beer so I’m throwing caution to the wind. 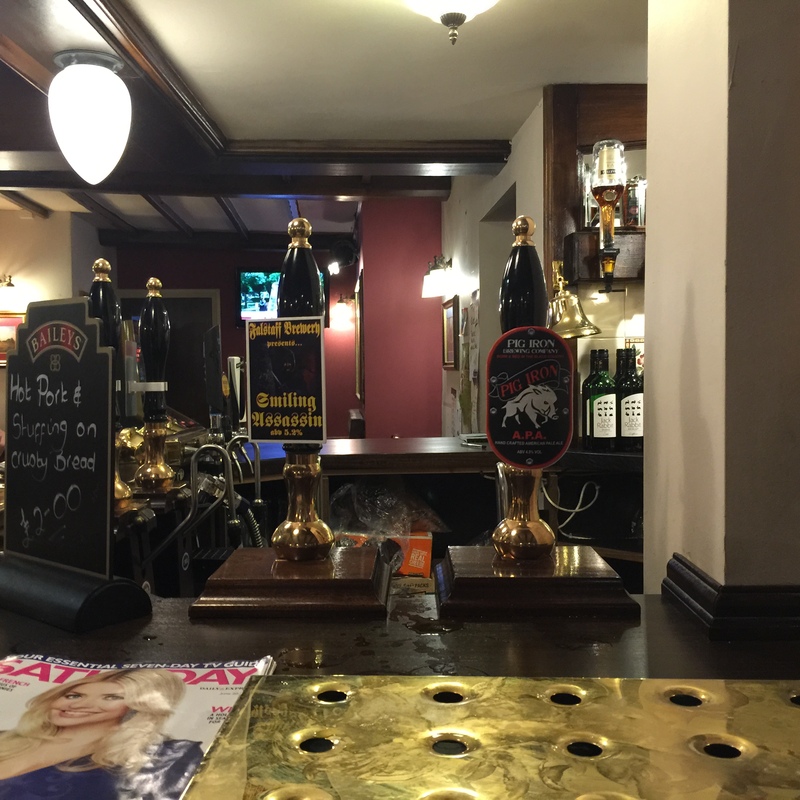 The Kinver Con Club is a members only club and has a great selection of ales. 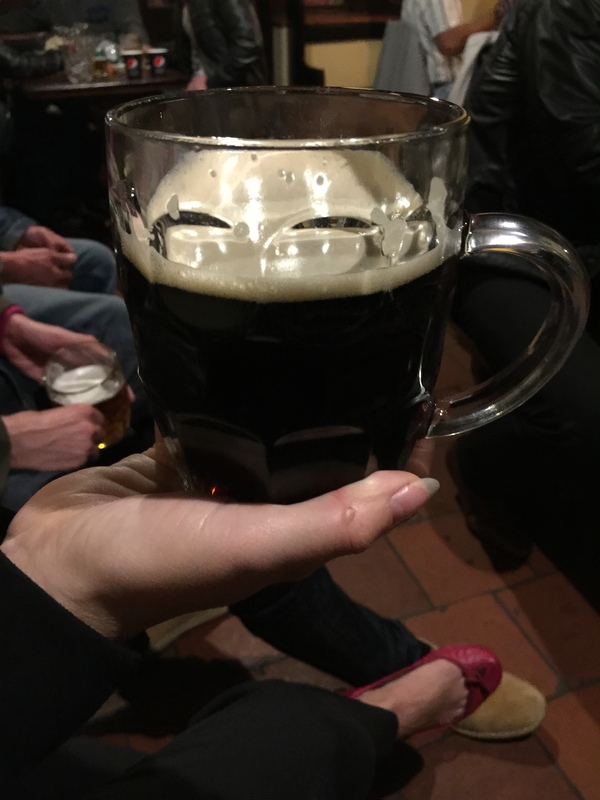 Bloke and I went for Sedgley Surprise (Sarah Hughes), chap for Oak (Wood’s) and wench 2 Beauty (Wood’s). 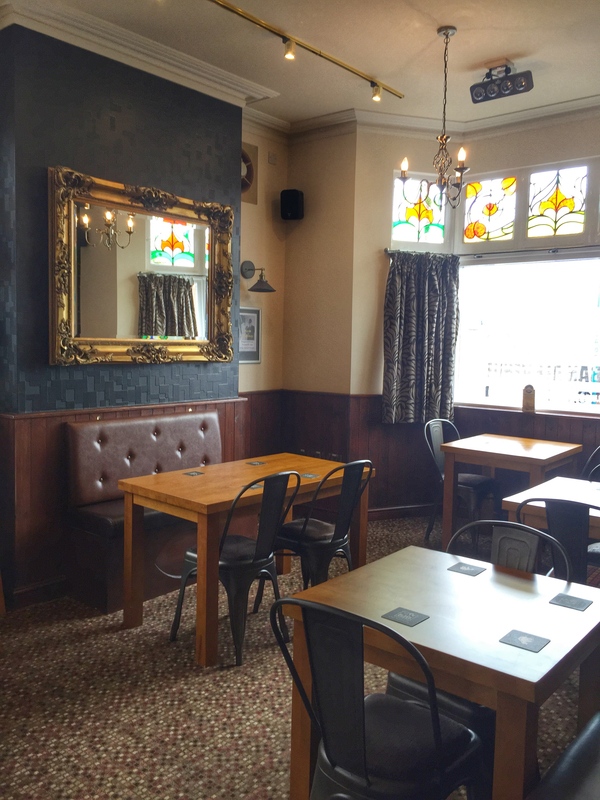 After another round of Oak and Beauty for all, we made our way up to The Cross, a Black Country Ales pub which has had a recent facelift and as a result was looking rather nice. 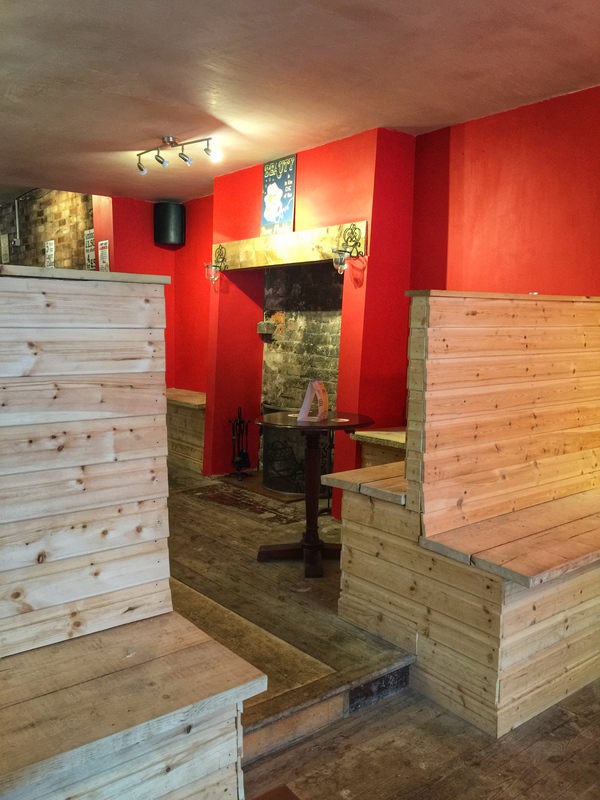 This is wench 2 and chap’s local and they seemed impressed by the changes. I was more impressed by the smell of the hot pork cobs that were drifting by. …wench 2 and chap went for Noble (Kinver), bloke for Traditional (Hairy Ferret) and this wench went for Smiling Assassin (Falstaff). 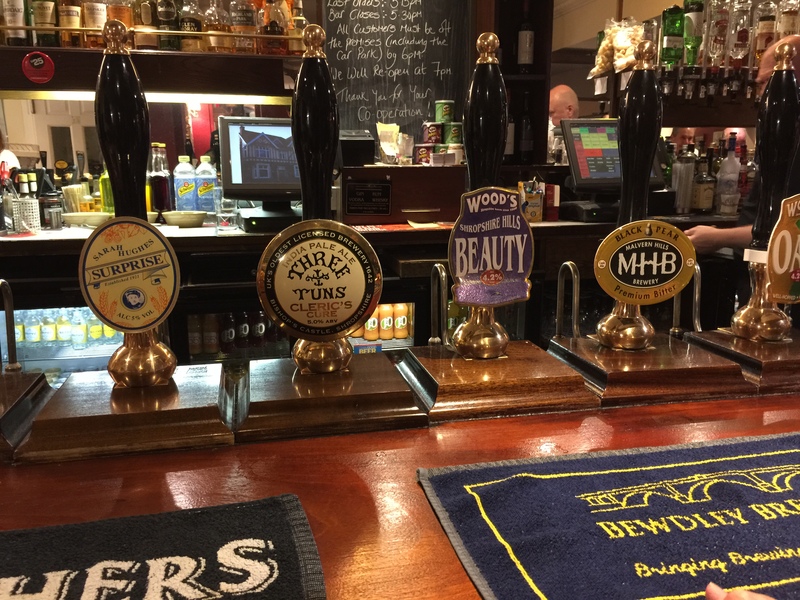 Our second round saw the locals stay loyal to Noble (Kinver) whilst I decided a switch to Severn Gorgeous (Worfield) was in order. 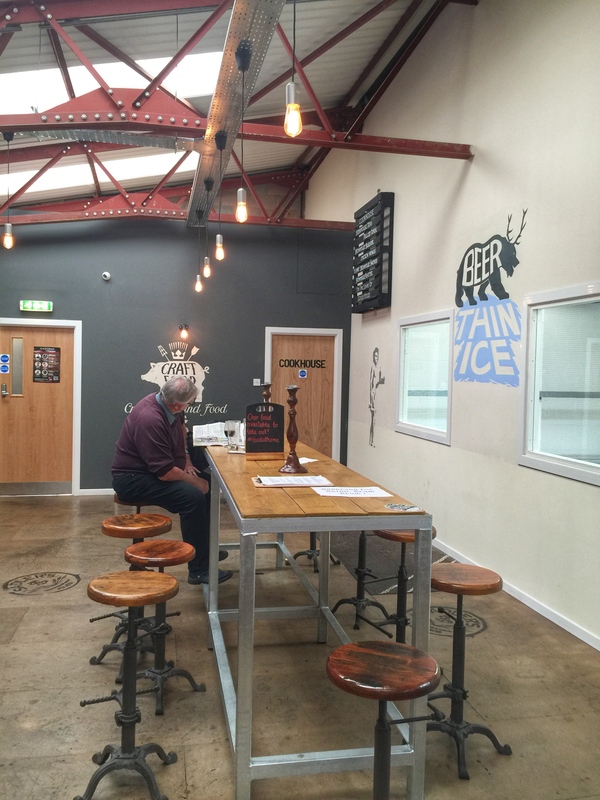 Bloke decided to go for Crazy Goat cider (Lilley’s). Back at chez wench 2 and chap, the champagne was swapped for the more decadent and adult-themed, Ron de Jeremy rum, and homemade rocky road. Don’t judge us. You know you would too.